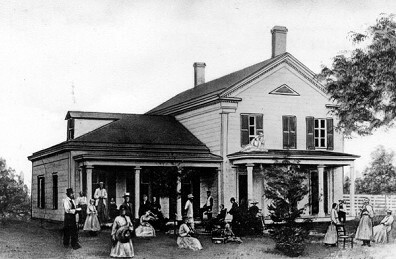 On September 5, 1866, the Western Health Reform Institute was opened in Battle Creek. This was a fulfillment of Mrs. White's December 25th, 1865, vision in Rochester, New York, in which she reportedly received a divine directive to establish health reform institutions. As the faithful followers began pouring in their hard-earned money, construction on the expansion commenced. By August the money had run out and the project was temporarily halted. What happened next is shocking. It turns out that James White was opposed to the idea of expanding the institute because he had not been consulted on the project. A Testimony of God's Spirit? Mrs. White claimed she "was shown" that Adventists should contribute to the "worthy enterprise" of expanding the institute. Then, apparently influenced by her husband, she contradicted her previous testimony, and the work which she said God had ordained was torn down! She freely admitted that her original testimony was the result of human influence. Was the second testimony also a product of human (James White's) influence? How many of her other testimonies were simply the result of SDA leaders prodding her to say something to support their projects or ideas? To examine further evidence of Mrs. White being influenced by others, click here. 1. Uriah Smith letter to Ellen White, Feb. 5, 1867, cited in Dr. Ronald Numbers, Prophetess of Health, third edition, p. 166. 2. Ellen White, Testimonies, Vol. 1, p. 492. 3. D.M. Canright, The Life of Ellen White, chapter 4. 4. Ellen White, Testimonies, Vol. 1, p. 562.